Shane Parkhill (left) and Kieren Patel (right) receive a check from event judge Jack Pressman. Interdisciplinarity took center stage at Northwestern’s seventh annual venture challenge on Thursday. Nearly every team — including grand prize-winner OpticentHealth — had ties to more than one school, and the McCormick School of Engineering was well represented. “This year’s competition was a great example of Northwestern’s interdisciplinary spirit — from the winners and team participants to the student groups and schools involved,” said Michael Marasco, director of the Farley Center for Entrepreneurship and Innovation. Started in 2007 with a gift from McCormick alumnus Bob Shaw and his wife Charlene, the Northwestern University Venture Challenge is the University’s premier business pitch competition. The most innovative and promising student startups are rewarded with capital and mentorship so their ideas can grow and make an impact on society. This year’s challenge featured 25 teams competing in five categories: green energy and sustainability, consumer products, social enterprise, business products, and life sciences and medical. 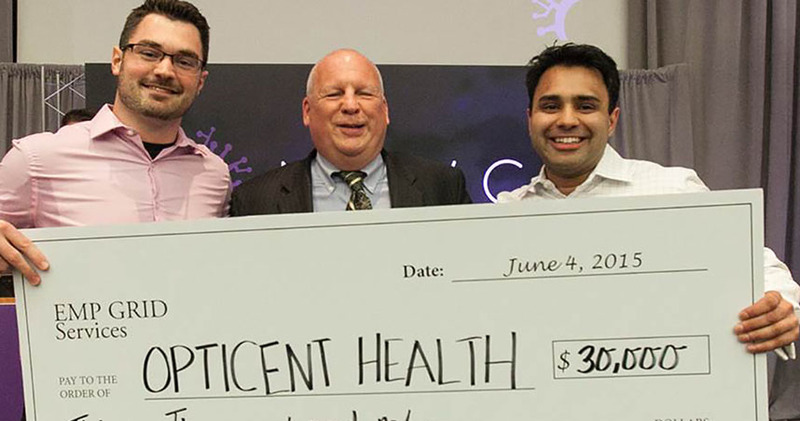 OpticentHealth took home the overall prize of $30,000, in addition to winning $15,000 in the life sciences/medical category. 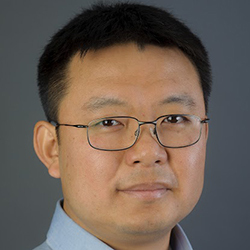 Based on research from McCormick professors Hao Zhang and Cheng Sun, the startup develops non-invasive medical imaging instruments to better diagnose and monitor ocular diseases. Its technology can detect eye abnormalities up to 40 percent earlier than other techniques, giving treatment a head start. The prize money will be used to fulfill customer orders for the new instrument. “Winning the grand prize was a great accomplishment for our team, and I hope a signal of future success for the company,” said Kieren Patel, a Northwestern JD/MBA student and president and CEO of OpticentHealth. Patel was a 2014 fellow in Northwestern’s Innovation and New Ventures Office’s Innovation to Commercialization (I2C) program. During the fellowship, INVO’s Sonia Kim introduced Patel to Sun and Zhang, and their relationship — and business — commenced. Fellow Kellogg student Shane Parkhill later joined the OpticentHealth team as its chief operating officer. 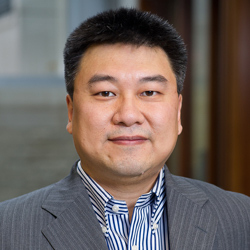 Sun, associate professor of mechanical engineering, and Zhang, associate professor of biomedical engineering and ophthalmology, both act as co-chief technology officers. Another McCormick venture challenge victory came on the undergraduate level. Founded by three McCormick undergraduates (now alumni), Luna Lights won first place in both the overall undergraduate competition and the social enterprise category. Born from a Design for America project, Luna Lights is a thin sensor attached to a mattress that detects when a person gets out of bed. The sensor then triggers a series of lights that create a guided path, preventing nighttime falls among the elderly. The team, which includes Wesley Youman, Donovan Morrison, and Matt Wilcox, will use their prize money for manufacturing costs. Advanced battery materials startup GTrans received second place overall, and 3-D scanning technology startup MDAR Technologies won third. GTrans members include McCormick students Zhiyuan Sun, Abhinav Saboo, and Joseph Arnold. Another project formed in the I2C program, MDAR Technologies team members include McCormick PhD student Nathan Matsuda and Oliver Cossairt, assistant professor of electrical engineering and computer science.